The High Desert Obedience Club (HiDOC) was formed in 1981, in Lancaster, California, by a small group of people all sharing the same interest...Dogs. Gradually the club became more organized and in January of 1986, the club received it's nonprofit incorporation status. From that small beginning to the present the club has grown by leaps and bounds. 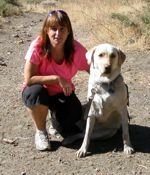 Promoting responsible dog ownership and educational programs, High Desert Obedience Club is a member of the American Dog Owners Association, California Federation of Dog Clubs and supports the Lancaster Animal Shelter. We support the Morris Animal Foundation. Click here to learn about this wonderful organization and donate if you can. Does your dog know what to do if he encounters a rattlesnake? We can teach him to recognize the danger, alert you and avoid a deadly encounter. Come to our Rattlesnake Avoidance Clinic Saturday May 4th, 2019 conducted by Natural Solutions K-9 Rattlesnake Aversion Training. Space is limited so call (661)433-6170 today to reserve your spot. Our 2019 CLASSES ARE ABOUT TO BEGIN! Our first class session of 2019 will start on Wednesday March 13th at Sgt. Steve Owen Memorial Park. This year we are offering Puppy Preschool and Basic Novice at 6:00 and 7:00 in order to reduce class sizes and give you more personal attention! For the first session we are offering Puppy Preschool and Basic Novice from 6:00pm to 6:50pm and from 7:00pm to 7:50pm. Please plan to be at the sign up tent at least one half hour before your class starts. Bring proof of Rabies, Parvo and Distemper shots. Save time at the sign-up table by Pre-Registering for your class! Click HERE for more info. See below for our full schedule. Class offerings are subject to change so check back often. You do NOT have to be a member of HiDOC to participate in classes. HiDOC offers a schedule of training classes for the general public and the competition minded providing the most up to date training methods in the Antelope Valley. Club members and trainers offer years of experience in proven methods of obedience training along with extensive knowledge of dealing with both pure and mixed breed dogs in solving typical behavior problems. Classes are designed for your dog's age & skill level from Puppy Preschool and Beginning Obedience through Competition Level Training. Download and print your Class Application. Class Dates: Dates are subject to change. Please call the club phone and listen to the message to make sure starting dates have not changed. Rain does cancel class. Location of all classes: Sgt. Steve Owen Memorial Park, 10th st. West and K-8. Classes meet on the open grass area north of the children's playground. Sign ups: begin half an hour before first scheduled class. Discounts: Special discounts are offered for active military personnel, senior citizens, service dogs in training and dogs rescued from the Lancaster Shelter. Vaccinations: For the protection of your dog, proof of Rabies, Parvo and Distemper required. Even Puppies can learn manners! This is an 8 week class. Standard fee is $70.00. If your dog is not coming to you, he should be coming to us! Get recognition from the American Kennel Club for your dogs good manners at home and in the community! CGC is now an AKC title! Four weeks of instruction and practice of the ten required skills. On the fifth week AKC approved evaluators will conduct the CGC test. Class size is limited to eight students. This is an 5 week class. Fee is $50.00. Prerequisite: Dogs must have solid basic skills and approval of the Instructor. Enrollment is limited to six students. This class is intended for those who have not yet competed or who have just begun to compete. Learn AKC Rules & Regulations, Ring Exercises, Proper Ring Etiquette; everything you need to feel comfortable the first time you set foot in the ring at an AKC Trial. The use of prong collars is not allowed in this class. This is a 6 week class. Fee is $60.00. 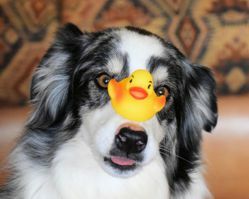 Have some fun with your dog and keep his/her mind working! 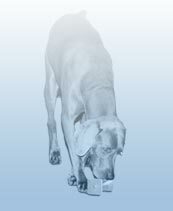 Young dogs, old dogs, all dogs – and their owners - can enjoy trick training. It's all positive, using food rewards and the joy of doing something together. Come join us for some fun, relaxed training with your doggie buddy learning a few old tricks and some new ones! Be sure to bring a supply of training treats! A minimum of 6 students is required with a maximum of 10. This class is intended for those who have not previously competed in Rally and wish to learn the signs and skills to be comfortable to begin competing at AKC trials. © 2006-2018 High Desert Obedience Club. All rights reserved.